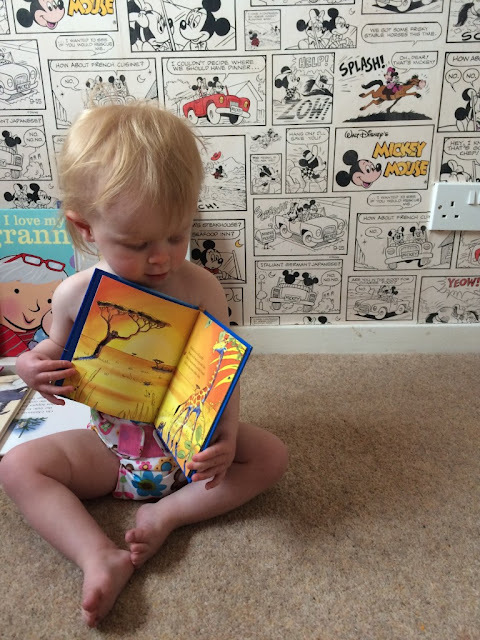 A nappy we have only recently started to use is the Bambino Mio Miosolo nappies, which for us have been love at first use. I had seen these nappies online before but then I heard they were for sale in Morrisons so I took a few trips to some not so local but as close as you get stores and finally, after a lot of looking I found some! The first thing I noticed with these all-in-one nappies are that they are a far more generous in size than what I have been used to and have found that M still wears the smallest rise setting with no issue. M is 15 months now and so I don't know how soon we would have fit into these. I am not sure how heavy M is now, she was 17lb 10 at 12.5 months so to be in a lowest rise now is amazing. It states these nappies fit from 7lb to 35lb but I am dubious that you could get a 7lb baby in these however having not tried these on anyone other than my daughter all I can do is wonder. I don't think I will be fitting these on my newborn come September though. When on the baby I find that there is some excess fabric on the nappy, especially around the waistline making them a little less slim than they maybe could be. This could be because M is still on the smallest setting but I wouldn't say they are not that bulky either so great for daytime use. One thing I love about these nappies is the design of the microfibre insert which makes stuffing and unstuffing the nappy a breeze. The insert has a pocket at the front that you can slip your hand into and so makes stuffing the nappies a doddle and means you can make sure the insert is flat. 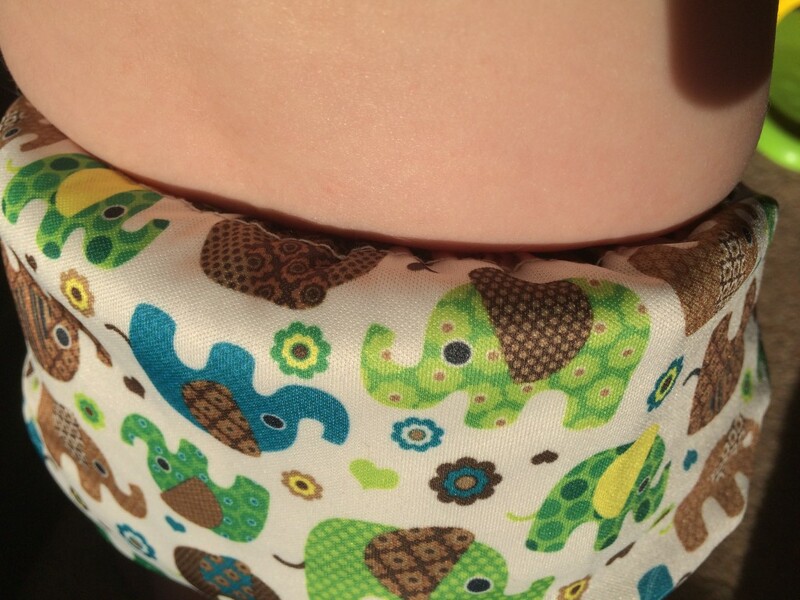 It also has tabs at the top of the nappy to help you pull the insert out. Washing and drying these are a doddle. They can be dried on the washing line in just a few hours which is ideal if you want to limit how many nappies you have. These are velcro nappies which make nappy changes quick and easy but if you have little fingers that like to pull velcro apart this can be a problem as they can undo them easily enough. That said M does like to undo them but the novelty soon wears off and she leaves it alone. When I first put M in these I instantly boosted them as I boost all nappies (maybe more of a habit than a need?) but I have since tried them with just the microfibre inner and nothing else. With using only the nappy and no boost I can quite easily have M in these for 3 to 4 hours plus. This surprised me as I would normally feel that I should change them after 2 hours if no booster in. M can be a heavy wetter so it is amazing to get this amount of time in a nappy without adding anything, however she can also go hours without a pee so it could be coincidental. These are simple to use, fit well and are very absorbent. The designs are bright and colourful which I love but I do feel they could be made slimmer but fit just as well with a little less fabric included. For £11.99 (a special deal for Real Nappy Week direct from Bambino Mio Miosolo) you can't really go wrong.